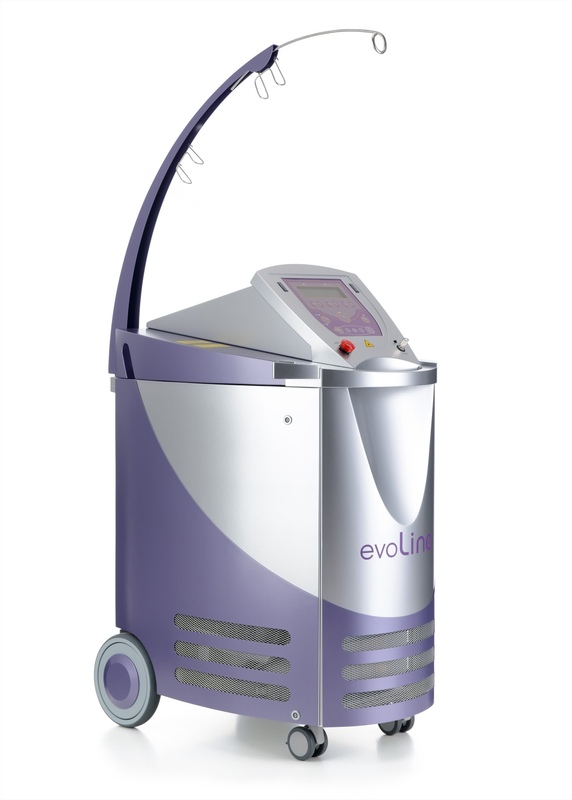 The EvoLINE comprises two lasers representing the golden standard of cosmetology – Nd:YAG and Alexandrite. 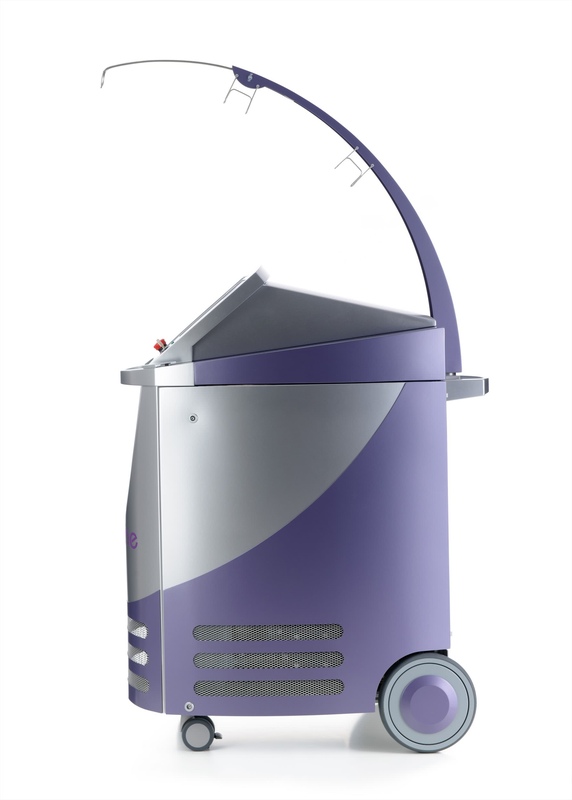 Thanks to this feature the system allows to excellently perform all the popular laser cosmetological treatments almost without seasonal limitations. The innovative technologies embodied in the EvoLINE design not only offer its users unique medical capabilities to the users and ensure earlier unattainable patients’ safety, but also considerably increase service intervals thus reducing the ownership costs for this high-end cosmetological laser. 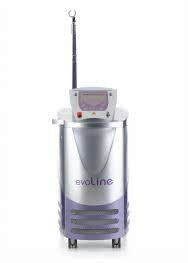 The EvoLINE, combining two laser radiation sources, allows to perform all the popular and demanded laser cosmetological treatments. That is why the EvoLINE laser system with good reason can be called a cosmetological station – having just one this device you can create a full-scale laser cosmetology salon. 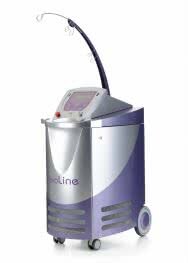 The EvoLINE allows not only to choose the wavelength depending on a treatment, solar activity and a patient’s phototype but also to perform fine adjustments of treatment protocols depending on the individual traits of each patient thus attaining the best result all year round without seasonal limitations. 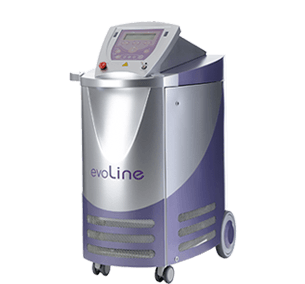 The EvoLINE, created on the basis of the most advanced and high-power lasers, offers its users the treatment speed unattainable for most of the existing systems – the skin area of 10 x 15 см2 can be treated within less than a minute! Such a high treatment speed provides an additional competitive advantage to your beauty salon by significantly cutting down procedure time and prime cost when treating large skin areas, for example, when performing hair removal procedures. The complex laser pulse structure ensured by the LaserTrain technology is one more exclusive advantage of the EvoLINE. This technology exploits the peculiarity of a reaction of biological tissues to laser radiation exposure thus increasing the selectivity of laser exposure and minimizing a patient’s painful sensations in the course of treatments. Thanks to utilization of the VarioSpot technology, when operating the EvoLINE you will not have to distract to replacement of different tips and handpieces. A unique handpiece-trasfocator allowing to smoothly change the beam diameter from 4 mm to 20 mm is used for performing all the procedures while the intellectual spot size recognition system automatically recalculates the laser radiation density at the patient’s skin and displays the value on the screen. The light-weight and ergonomic handpiece is one more unquestionable advantage of the EvoLINE that will be appreciated by all the practicing doctors. Thanks to the low weight of the handpiece, the probability of the doctor’s hand increased fatigue and muscular tremor in the course of work is eliminated thus allowing to preserve the highest accuracy of manipulations even in case of performing long procedures. The EvoLINE actually comprises two lasers – Nd:YAG and Alexandrite. Taking into account his feature as early as at the development stage we thoroughly thought over the design of the device so that in case of necessity to minimize your investments into buying it. You have an opportunity to open your business with minimal investments by starting to use the EvoLINE in Nd:YAG-only or Alexandrite-only configuration. Subsequently, as your profit grows, you will be able at any time to upgrade your laser to the top package even not taking it out of your salon. To increase patients’ comfort in the course of treatments the EvoLINE can be used together with the compact and efficient EvoCOOL and SkinCOOLER compact contact skin coolers ensuring efficient cooling of the treatment area down to -5°C. The contact coolers are equipped with 4 changeable plates of different diameter intended for cooling different-size areas. Moderate price and compact design of these devices will be appreciated by users.